The adidas Ultra Boost is one of the hottest silhouettes on the market right now, and making things more interesting with upcoming releases is this “Black/Gold” adidas Ultra Boost colorway. This release is reported to be part of an upcoming Olympics Pack that will also include a Silver and Bronze pair, along with this Gold version. The runner features an all-Black Primeknit upper that is highlighted with a Metallic Gold heel counter and tongue tag. The shoe is completed with a usual White Boost and Black rubber sole. 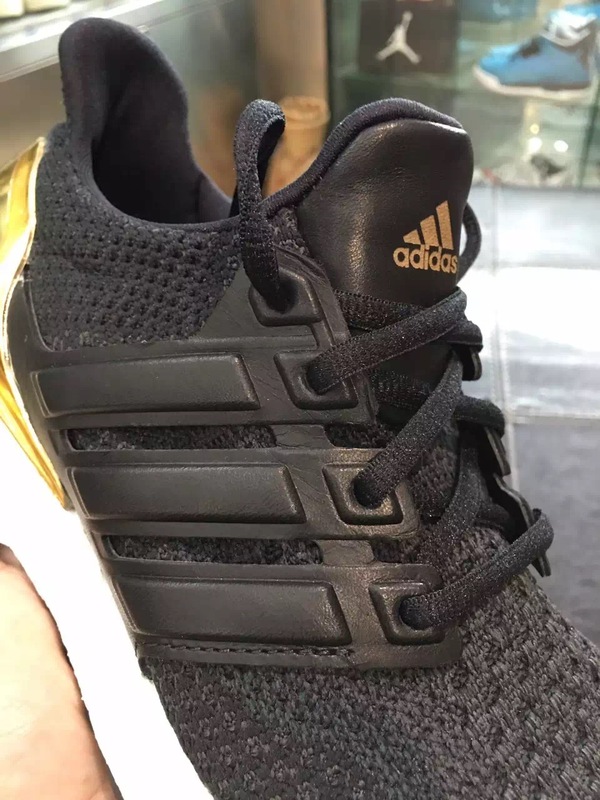 Check out the detailed images below and stay tuned to Sneaker Bar for further release updates on this upcoming adidas Ultra Boost Black Gold colorway. UPDATE: This adidas Ultra Boost LTD version comes dressed in all-Black highlighted by its Metallic Gold heel counter. You can expect them to drop later in August.